Many of the old plat books contained not only the township maps but also other interesting information. 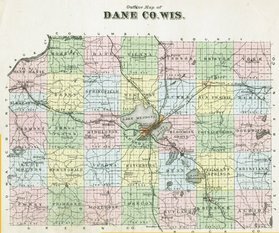 In this particular issue there was a written brief history of Dane County and our six individual townships. We have reproduced the information in these two web pages. The images are from the Wisconsin Historical collection.